Ready or not, Spring is on its way. And with warmer weather comes road trips and weekend getaways. But don’t put everyone through another season of travel in the outdated, smelly RV. Instead, make your home away from home really feel like a HOME with some simple, doable projects! 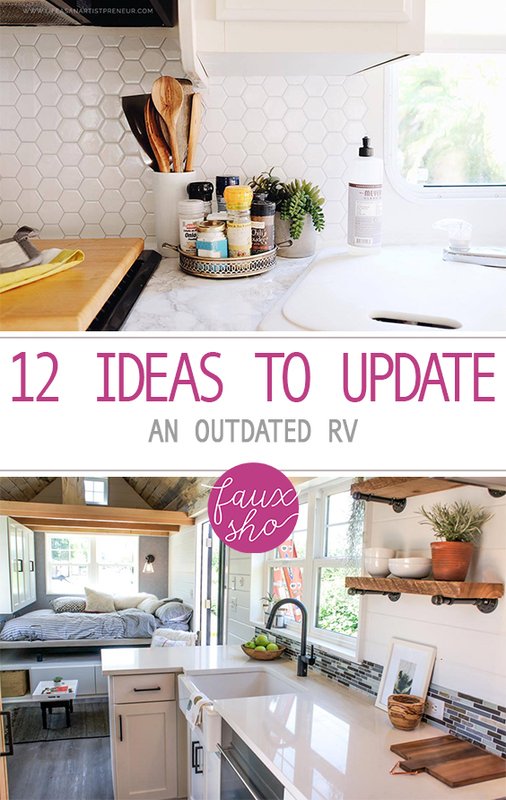 Here are 12 ideas to update an outdated RV. Take out that worn down or yellowing flooring and replace it with a fresh, modern alternative. NuCore is about as authentic as you can get without feeling walked all over. It gives such a beautiful look! 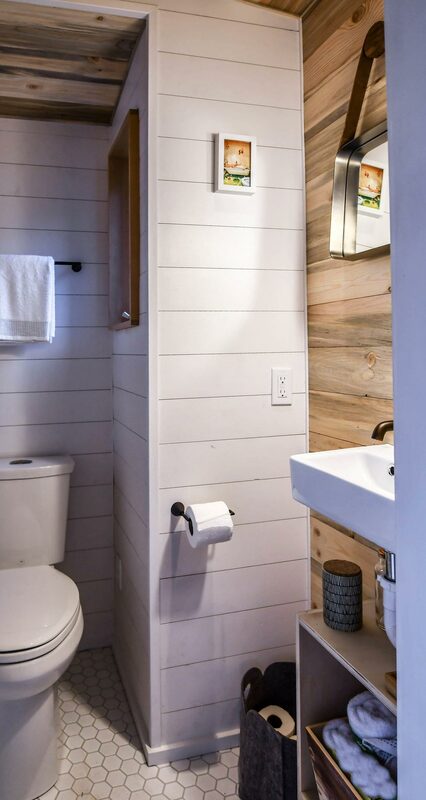 Get rid of those unsightly plastic walls and put up plank instead. 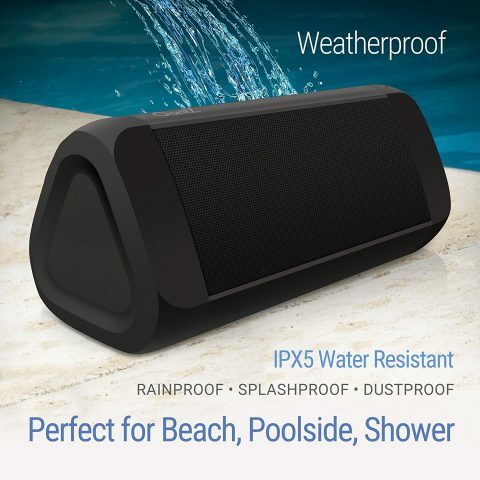 Rustic, homey, and pretty easy to install. Never thought I’d think walking the plank sounded like such a good idea! 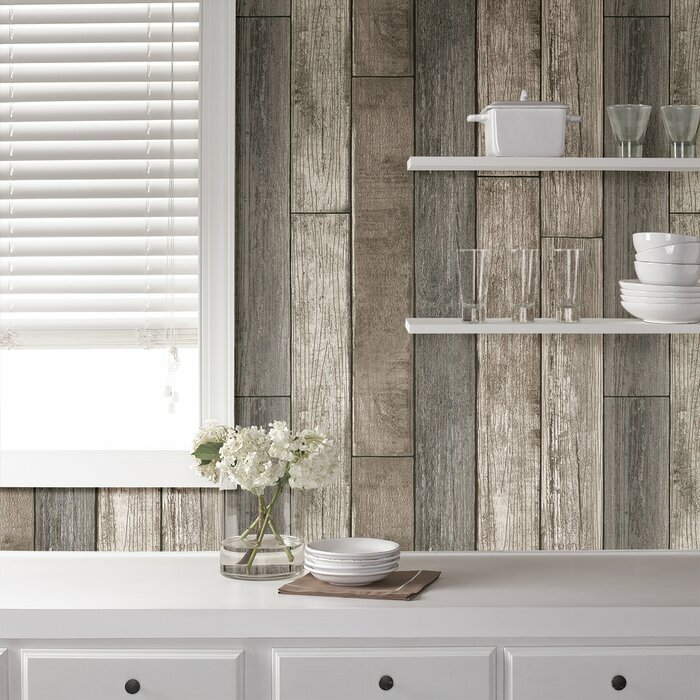 If installing a new wall isn’t in your budget or comfort level, consider textured wallpaper instead. Wallpops offers a truly exciting variety of patterns for any style and is as easy to install as applying a peel and stick adhesive. 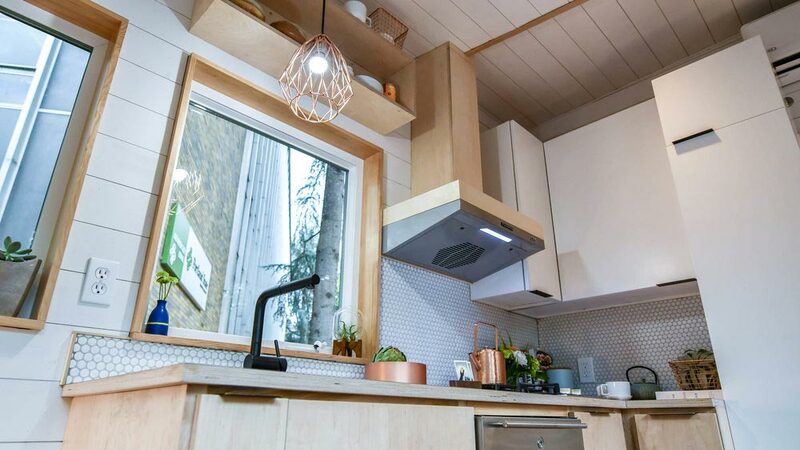 Installing a modern backsplash is a great way to update your RV’s kitchen or bathroom. 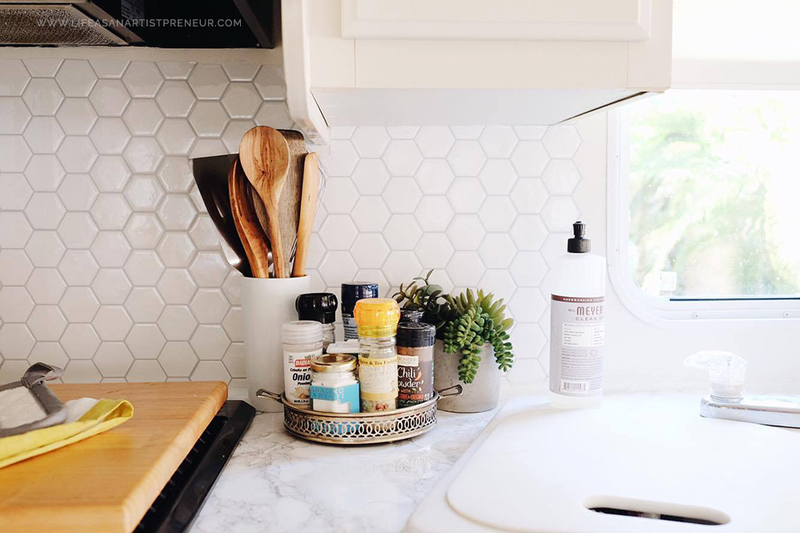 You can find this super cute PEEL AND STICK honeycomb backsplash on Amazon for a price that won’t put your wallet through backlash. To me, interior lighting is like the jewelry of your living space. 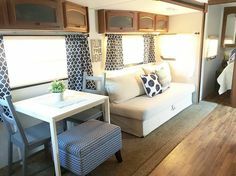 Add some glitz to your RV by installing updated light fixtures. 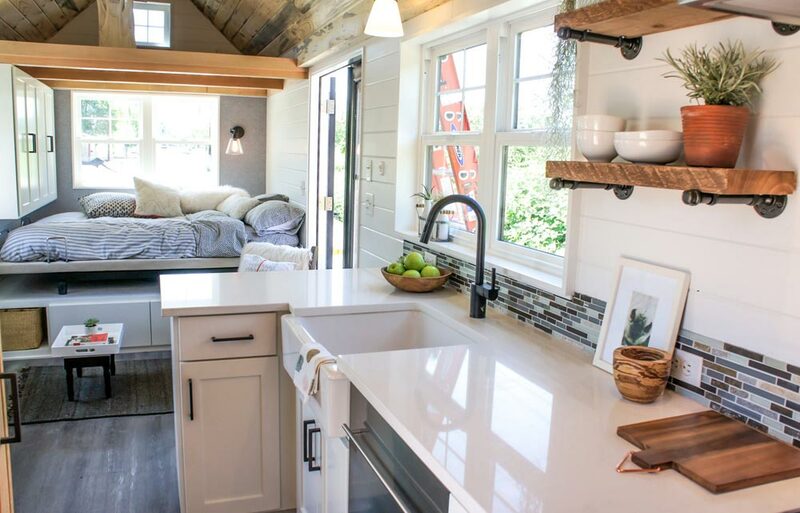 One easy way to make your RV feel more like home is to add shelving and decor. Pipe shelves are a versatile option that match many styles and are pretty simple to install. Add some decorative flair by installing new curtains. They also break up the monotony of otherwise plain walls. Your couch or chairs are probably worn out by now and could use a major update. Reupholster your seating to create a much more inviting space. Infuse your personal style by repainting cabinetry and walls. This black and white kitchen is bold but striking. 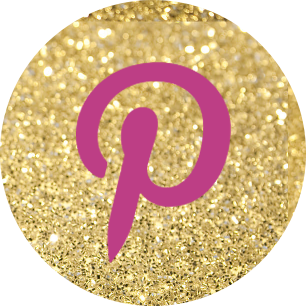 Once you’ve repainted your cabinets, finish off your updated look by installing new knobs and pulls. World Market offers a fun selection for many personalities.